Focusing on the purpose driven needs of the serious sport rider, the Scorpion Clutch Jacket delivers commanding features and benefits to meet the expectations of the most demanding riders. Extreme perforation across the chest and arms allow for temperature regulation, while the1.2-1.4 Monaco top-grain leather and Sas-Tec CE armor provide extreme protection. With the trademark Scorpion “broken in” feel, comfort is not sacrificed through the use of power stretch panels in the sleeves and underarms along with padded torso panels in the abdomen. The comfort and function continue with a neoprene collar leading back to the Powertector GP Air Hump, constructed with bioelastan antishock material for protection and aerodynamics, along with a hollow core that creates air channels for increased airflow. Addressing the needs of the street/track rider, the Clutch also incorporates NighViz accents, adjustable fitment, internal and external storage pockets and molded shoulder protectors. The Clutch Jacket is shifting expectations of Scorpion’s premium leather jacket offering into a new gear. Great design, breathable but comes with a thermal liner just in case it gets cool. Anybody have any idea on how much this jacket breaks-in and loosens? I've tried on the Large and it fit but found it stiff when i moved my arms around and restricted my movement. The XL fit more comfortably but I'm afraid if it loosens too much than it'll be too big. Any feedback? Hi , I'm 5'6 , about 38.2-38.5 inch chest, 147lbs , should I go with the s or m? I'm looking to also get the back protector. Thanks! BEST ANSWER: This jacket is very well balanced and loosens a bit after a few uses, so it gets really comfortable to wear after a while. I'm 6.0, 200lbs with 45" chest and I wear size L. I like them tight, but without restricting movement. I also wear a pullover under it when it's cold. Those are great for summer. They let pass a lot of air through, so it's not ideal for cold days or early morning rides. I'm the same size as you and I usually have to get an extra large with Dianese to fit right. Are these sized better than the euro jackets? It sounds like I should get a large with this particular jacket. I would think Small as a starting point. I am 6' and 155lbs and am bordeline thinking about returning my medium for a small. I think the medium fits me well through the shoulders, chest, and arms. Below that it is looser than I would prefer on my torso. Has anyone tried to use a backpack with this jacket, if so does the hump interfere with it at all? Thanks in advance! BEST ANSWER: Hi Chelsey: To answer your question – No, the hump has not interfered with the backpacks I have worn with the Clutch Phantom leather jacket. But there are a few caveats. First - I tried five bags with this jacket while sitting upright with the bike on a rear stand. Each bag had a chest strap. That was very important to me because of the width and depth of the hump. The chest strap helped to compensate for this, and gives a really confident fit. I’m not talking about snugness. But rather confidence in knowing that the hump will not cause the straps to slide while navigating tight curves. So, I packed each bag with real gear – for a real ride – with a real destination in mind. The two most considerations for me during this phase were weight and shoulder strap width. Out of the five backpacks, the three that I liked best were the Icon Squad 3.0 backpack, a High Sierra backpack, and a Bug Out backpack. Please understand that I’m not advertising ANY of these backpacks. I’m simply referencing what I actually used. Second - I rode with all three backpacks on separate occasions to various destinations/events (i.e. work, meet-ups, group rides, errands, etc…). All the bags performed well. However, the Icon Squad 3.0 backpack performed the best. It had a natural feel with the race hump. Third - What I think made the backpack and race hump work well together, was a combination of three things: My shoulder width, the width of the straps, and the width of the backpack. Although, I did detach the two ID holders from the shoulder straps because the thickness of the leather at that portion of the jacket raised the straps high enough that they interfered with my helmet during head checks. So in the end, from my experience, any backpack I wore did not hinder me while riding. And the backpack that performed the best was of mid-size, with straps of moderate width, and had a chest strap. All-in-all, you should be fine with whatever backpack you decide to wear. Hope this helps. I use a regular backpack with the jacket all the time. I haven't had any trouble with the hump. I use a backpack with it almost every time I ride. I haven't really had a problem as it is a lower profile hump. As long as you give it a little slack, wearing a backpack will be fine. The slack will compensate for the hump. I've used back packs alot and ilthe race hump doesn't interfere at all. If you don't have your Back pack strapped all the way up. Would this be a decent jacket to wear even when not riding. I plan to use the jacket all year. Would it be suitible for almost every day wear or is it too bulky? Thanks! BEST ANSWER: Well, in my honest opinion---as far as getting off the bike when commuting to and from work, running errands that may cause you to walk around a bit, and meeting up with friends/associates – then yes, you’re ok there. It’s a GREAT Jacket for those purposes. However, as an everyday jacket to wear for pleasure and comfort, I would have to say no. The main problem lies with the race scoop. It is out of place and distracting. Imagine this: You’re wearing a nice shirt, slacks, nice shoes, and……the Scorpion Jacket at an up-scaled social event. In my opinion, it just doesn’t fit the environment by having the race scoop on it. Just my two cents. No. You would look ridiculous in the jacket. It will also limit your range of motion due to its safety focused construction/design. If you want a jacket to wear around, go to the Burlington Coat Factory. Would look a bit silly walking around wearing this as an everyday jacket, its definitely made for riding, a fantastic jacket for the bike but not for anything else. What would be the lowest temperature you would recommend for this jacket? BEST ANSWER: Lowest temperature? Hmm. Not exactly sure how to answer that one. I'm a south Florida rider. It doesn't get colder than 40's typically and even if it does, it's for 3-4 days. A sweater or under armor what not can easily be worn inside this jacket not to mention the removable internal wind breaker. And basically on the hot side of things, if it's hot, it's hot no matter what you wear. If you're thinking to get this jacket, it's strongly recommended by me. Given the perforation, I would say 60 degrees. It has a thin thermal lining, but in order to fully enjoy the jacket without bundling up with cold gear, I would put the limit at 60.
im 5'5 and weigh about 145, would the small be a better fit? or a medium? really appreciate it! BEST ANSWER: First off, I'd like to say, I love this jacket. I'm 6'1" 150lbs. Tall and slender. I've went with medium. If I were you, I might try the small. It is leather which will loosen and stretch just a bit. Like if you've ever owned cowboy style boots. I'd worry more about sleeve length than chest size. Also, call revzilla, customer service is awesome. Also, keep in mind, worst comes to worst, they're swap out policy or whatever revzilla calls it is awesome. Thankyou! I appreciate the help! I won't really be able to answer your question, as I am 6'2" and weigh 220. I bought an XL and it fits perfect. I love this jacket! I would suggest just picking either the small or medium and then swapping if it doesn't fit. RevZilla will Swap for free if it doesn't fit. They really have the best deal. Hope this helps. Small should be prefect, I'm 5'6 and 135 and I have plenty of room to move. Sounds good! Definitely gonna get the small! Thanks for the help! The video didn't say much about the elbow protection. I see the ratings for the elbow protection but I am not sure how well they Protect. Anthony usually mentions it in the video but he didn't say anything this time. Where does the elbow protection of this jacket rate in comparison to other similar jackets?? 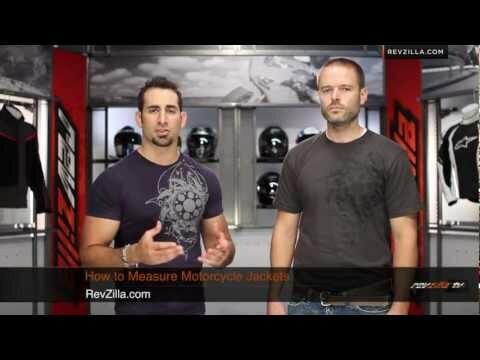 BEST ANSWER: Revzilla presented an excellent break down on the Scorpion Clutch Leather Jacket, and subsequently, the Scorpion Phantom Clutch Leather Jacket. With respect to the shoulder amour, it should be noted that that the piece actually sits on the clavicle bone and extends just below the shoulder muscle. Upon wearing the jacket for the first time, you will notice the piece due to the weight of the jacket. However, it is not at all uncomfortable while riding. Like most high end quality leather jackets, the jacket molds to your frame – and so does the amour. My best reasoning for the placement for this particular shoulder protective amour is; 1) To limit swelling around the shoulder muscle upon impact and, 2) To guard against splinter fractures around the rotator cuff and the densest portion of the collarbone. I have ridden with the thermal liner both, in and out. The shoulder armor wears well and is very comfortable with both set-ups. In my humble opinion, a great deal of thought went into “how” the shoulder amour should protect you. I honestly believe that Scorpion achieved that goal. 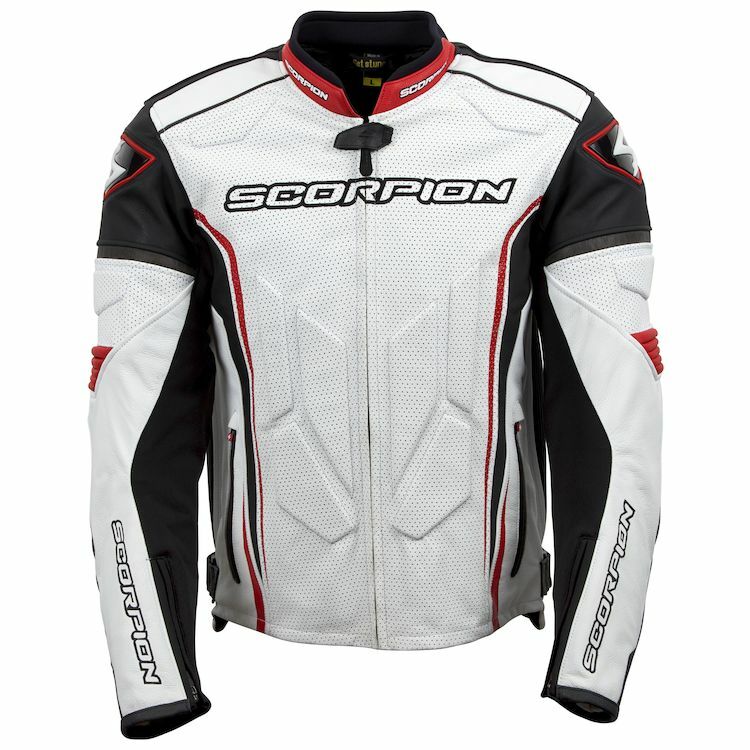 As compared with shoulder armor protection in other premium quality leather riding jackets, I would be hard pressed to rank Scorpion below number 1. I think they nailed this one for the street rider and for the occasional track enthusiast. The elbow protection is much better than a lot jackets in this price range. I have an icon jacket and mid range alpinestars jacket and the Armor in this jacket is much better quality. Its sas-tec armor so it also stiffens upon impact. The armor also stays in place very well. Does the hump restrict any movement of your helmet? BEST ANSWER: It does depend on how big your helmet is. I wear a Large HJC RPHA 10 and it touch the racehump if your jackets "rides up" a little bit while riding. I haven't investigated whether there is a jeans fastener for this jacket. If there is, I would recommend to use it because, if you are riding a sportbike, IMHO it could be a bit of a nuisance. Just one man's opinion. Real nice jacket though. Top notch quality, feel, smell. Its great. no its rounded at its peak so it allows you to move your head around. Is the neon yellow a true yellow color or is it more of a hi-viz yellow that appears to be green? It's hard to tell from the photos. Thanks. BEST ANSWER: I wouldn't know I got the white and red jacket, but all I can say is that I love the clutch jacket and have had a number of compliments!! Just to clarify I ended up purchasing the jacket and it is indeed a hi-viz yellow. Will the zipper in this jacket work with the REV'IT GT-R pants? BEST ANSWER: I wish I could help answer but I don't know because I don't have any pants that I use to attach but it does have the zipper to attach pants - I just love the jacket - she looks good and fits great!